Section 125 of the Commonwealth of Australian Constitution Act 1900 (UK) allowed for the Federal Capital of Australia to be allocated a territory located within the colony of New South Wales, not less than 100 miles from Sydney and of a size of not less than 100 square miles (161 km²). As the Australian Constitution Act became law, pressure mounted to choose a site for the Federal Capital. Forty five sites were submitted to be analysed by a Royal Commissioner. → Finally, on the 18th October 1909, the Yass-Queanbeyan site became the ‘Territory for the Seat of Government’. 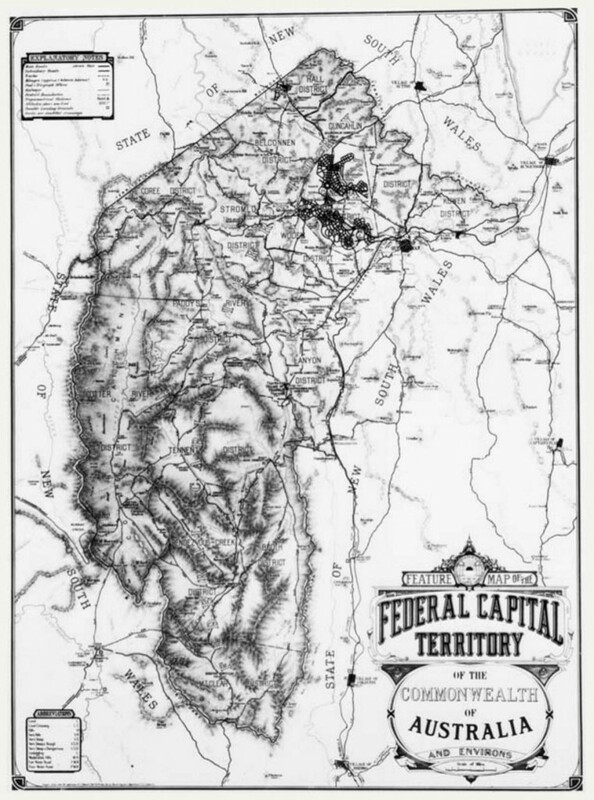 The territory was proclaimed the ‘Federal Capital Territory‘ in 1911. The name was amended to the “Australian Capital Territory” in 1938. A number of variations to the perimeters had occurred during the 20th Century, however, the borders reverted back to the structure of 1911, and, it is anticipated that they will remain as such in the foreseeable future . . . Still can’t find what you are looking for ??? *** Please note that if the exact date is not known, the timeline post date will default to the mid of the relevant month or year, and the closest available day thereafter.